Experience the allure of the Islands. From magnificent beaches to wind-swept dunes to historic town centers, a trip to Martha’s Vineyard or Nantucket will always be memorable. In any season, you’ll find things to do and places to visit on both Islands. Walking and bike trails circle each Island. Quaint Main Streets offer fascinating shops, fantastic restaurants and accommodations ranging from charming Bed & Breakfast Inns to full-service resorts. From magnificent beaches to wind-swept dunes to historic town centers, a trip to Martha’s Vineyard will always be memorable. 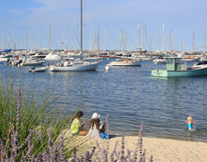 In any season, you’ll find things to do and places to visit on Martha’s Vineyard. Walking and bike trails circle the Island. Quaint Main Streets offer fascinating shops, fantastic restaurants and accommodations ranging from charming Bed & Breakfast Inns to full-service resorts. From magnificent beaches to wind-swept dunes to historic town centers, a trip to Nantucket will always be memorable. 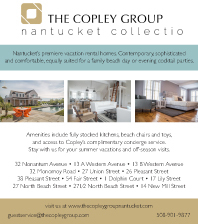 In any season, you’ll find things to do and places to visit on Nantucket. Walking and bike trails circle the Island. Quaint Main Streets offer fascinating shops, fantastic restaurants and accommodations ranging from charming Bed & Breakfast Inns to full-service resorts. 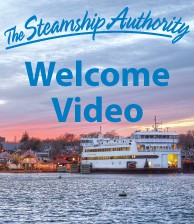 Whether you come for a day, or a longer stay, the Steamship Authority is the Way to Go with our spacious ships, the most frequent daily departures, and U.S. Coast Guard-certified crews to get you there safely. From the moment you step on board, you’ll have that vacation feeling. Sit outdoors for the sea breezes and spectacular ocean views, or find cozy, comfortable seating indoors. For your enjoyment, our snack bars offer beverages including beer, wine and mixed drinks, as well as hot and cold menu items. Pets are welcome to travel with you in designated areas on-board. Please note: passenger reservations are not needed for our traditional ferries to Martha’s Vineyard and Nantucket. Passengers traveling without a vehicle may purchase tickets at our terminals on the day of sailing. The Steamship Authority offers the lowest fares to the Islands. To learn more about our lowest fares and other Ways to Save, click here. The Way to Go to Martha’s Vineyard! The seven mile trip from Woods Hole to beautiful Martha’s Vineyard takes just 45 minutes. 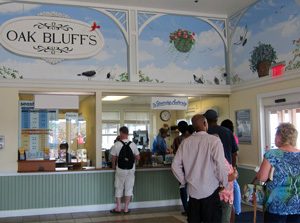 And you have your choice of two ports for your arrival: Vineyard Haven or Oak Bluffs (May-October). The M/V Iyanough makes traveling to Nantucket a breeze! In season, the 26 mile journey from Hyannis to Nantucket takes just one hour, dock-to-dock, aboard our high-speed passenger vessel. Want to make it a more leisurely voyage? 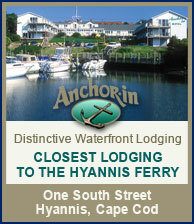 Our traditional ferries from Hyannis can get you to Nantucket in 2 hours and 15 minutes. Taking the High-Speed Passenger-Only Ferry, the M/V Iyanough? The seven mile trip from Woods Hole to beautiful Martha’s Vineyard takes just 45 minutes. 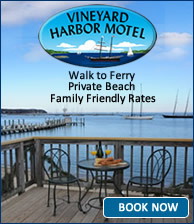 And you have your choice of two ports for your arrival: Vineyard Haven or Oak Bluffs (May-October). Please note: passenger reservations are not needed for our traditional ferries to Martha’s Vineyard. Passengers traveling without a vehicle may purchase tickets at our terminals on the day of sailing. The M/V Iyanough makes traveling to Nantucket a breeze! In season, the 26 mile journey from Hyannis to Nantucket takes just one hour, dock-to-dock, aboard our high-speed passenger vessel. Want to make it a more leisurely voyage? 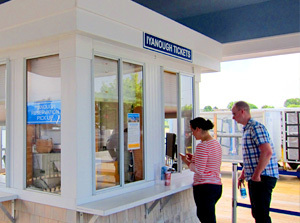 Our traditional ferries from Hyannis can get you to Nantucket in 2 hours and 15 minutes. Please note: passenger reservations are not needed for our traditional ferries to Nantucket. Passengers traveling without a vehicle may purchase tickets at our terminals on the day of sailing.